Could you imagine a team consisting of Ryder Cup legends from each side of the pond in Patrick Reed and Ian Poulter at the Zurich Classic? Published: Tuesday, November 15, 2016 | 11:01 a.m. In case you haven't heard, the Zurich Classic of New Orleans has announced a format change for the 2017 tournament. It's a change that's sure to give the event a huge boost of adrenaline too. Unlike the typical week-in, week-out, stroke-play format that crowns a champion after 72 holes, the Zurich Classic will now be a 72-hole stroke play format featuring Foursomes (alternate shot) during the first and third rounds and Four-Ball (best ball) during the second and fourth rounds. The starting field will consist of 80 teams (160 players). Each of the top available players from the PGA Tour Priority Rankings who commits to the tournament will choose his partner, who in turn must have PGA Tour status unless he is chosen as a tournament sponsor exemption. Sounds pretty cool, doesn't it? Two pairings have already been announced: World No. 1 Jason Day will team up with Rickie Fowler, while major champions Justin Rose and Henrik Stenson will make up another pair. With that, here are five other pairings we'd love to see with reasoning for each. 5. Bubba Watson and Tony Finau. Why? : Remember when Chris Paul went to the L.A. Clippers and that video surfaced with the reaction from dunk specialist Blake Griffin when he said, "Lob City!" 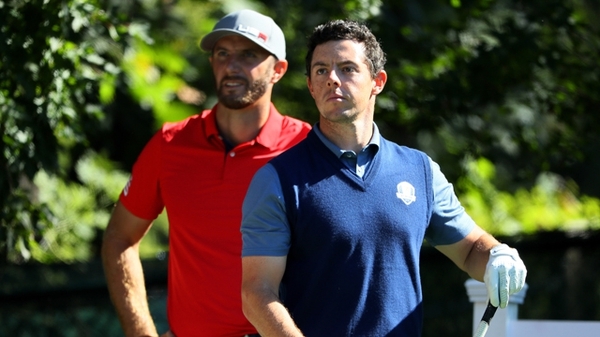 With this duo at the Zurich Classic, it would be, "Bomb City!" Two of the longest drivers in the game today just blasting it out there from both the right and left side of the golf ball off the tee. Wouldn't that be fun to watch? It would be especially fun to take in in the Four-Ball format since both players would have the chance to absolutely unload off the tee on the par 4s and 5s. 4. Jordan Spieth and Justin Thomas. Why? : It's well-documented that this is a friendship that goes back years and years. A pairing featuring Spieth and Thomas could also serve as a preview for Presidents Cups and Ryder Cups for years to come. Since they're so comfortable with one another and so familiar with each other's game, this could truly be a duo that just ham and eggs its opponents to death. But what about Spieth and Patrick Reed, you're wondering? Fair question... but we've got a partner for Reed later on this list. 3. Rory McIlroy and Dustin Johnson. Why? : Two of the best -- and highest-ranked -- players in the game today, this would look on paper to be an unbeatable force. Are there any two players in the game over the last five years (not named "Spieth" or "Day"), who are more dominant when firing on all cylinders? When they're "on" there's not a weakness in either player's game. Plus, when facing a pair of rank-and-file Tour players in a match, we'd have to assume the intimidation factor would be pretty serious. 2. 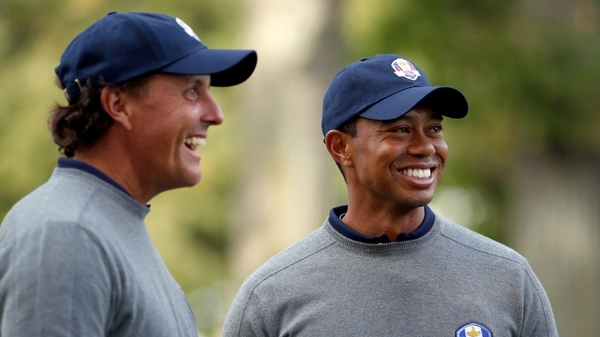 Tiger Woods and Phil Mickelson. Why? : Didn't we already see this fail miserably at the 2004 Ryder Cup? Yes, we did. But, at that time, Woods and Mickelson were at their absolute peak individually. After wanting to beat each other's brains in every other week of the year, they were suddenly asked to play nice and play together. It was a fascinating recipe for disaster. Even though many knew it could never work, they'd all be lying if they said they weren't at least intrigued at the time... Things are different now. They're older. They're not winning with the frequency they once did. Guys aren't as intimated of this pair as they once were. And, from all indications of what we can see at Ryder Cups, it might not even be so far-fetched to say they're actually enjoying one another's company at this stage in their careers. 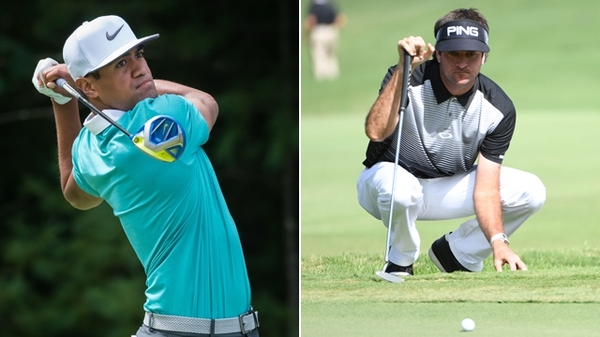 A pairing in the Zurich Classic would be more fun than pressure cooker (Ryder Cup). Give it to us! 1. Patrick Reed and Ian Poulter. Why? 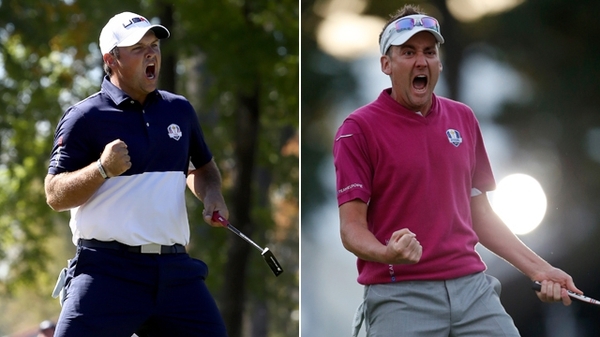 : The two biggest Ryder Cup villains paired together as a team? Are you kidding me? Yes, please. Poulter has been a thorn in the side of Ryder Cup USA and their fans for years with his uncanny ability to play absolutely out of his mind and pull off whatever shot is required whenever it is required. Reed, meanwhile, has been that same thorn for European fans in the last two Ryder Cups played. The two guys that fans on both sides of the pond love to hate, together as one? Oh. My.